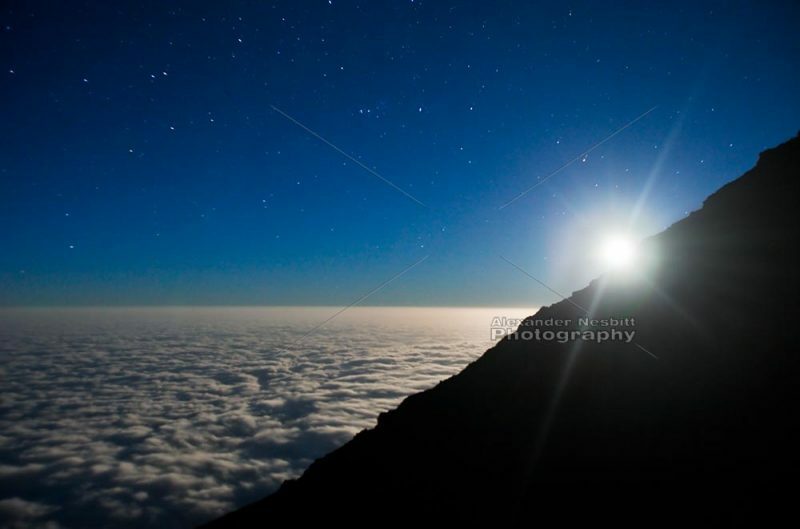 Kilimanjaro, Tanzania – The full moon sets behind the side of the mountain at 18500 feet. Far above the sea of clouds below. They call it the roof of Africa for a reason and this startling image by Alexander Nesbitt has all the mystery and magic of being there.